The effect will happen in moments. The mystery will last forever. As seen performed on Criss Angel's TV show. 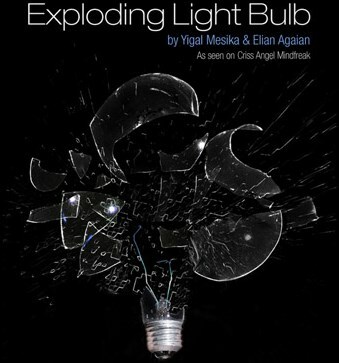 Suddenly and unexpectedly the bulb explodes and shutters into little pieces.